As much as I hate to admit, we go car camping far more than we do any other type of camping. Car camping, for those unfamiliar with the terminology, is when you load up all you stuff, drive to a campsite or public land, and set up your camp very close to where you parked your car. Most people just call this camping, but in my “younger days” I scoffed at the idea. I thought the only way to camp was if you drove to the trailhead, strapped everything to your backpack, hiked many miles into the woods, and then set up your camp. To me, that was pure, true camping; not like those people that showed up with their campers, BBQ grills, air mattress, and worst of all, tons of food. And even though I was so jealous of their comfort and food options, they weren’t “roughing it”. Fastforward a few years and oh, how time have changed for me. Nowadays, I prefer to spend nights outside, period. I don’t care how I do it, whether its backpacking, kayak camping, bikepacking, or yes, even car camping. And 90% of the 30ish nights I’ve spent outside this year have been when my girlfriend and I (and dog) went car camping. And I’m not mad about it in the slightest, because car camping allows you to do so much more than just hike from point to point. Since we camp most of the time on public, BLM land, the campsites are usually just as good as the places we used to hike miles into the backcountry to get to. And since we’re already at those desolate places, we can make that as our base camp to go explore from there. Now that we aren’t dependent upon our feet to get us to camp and back, we can use that energy to go mountain biking, hiking, swimming, or even running. 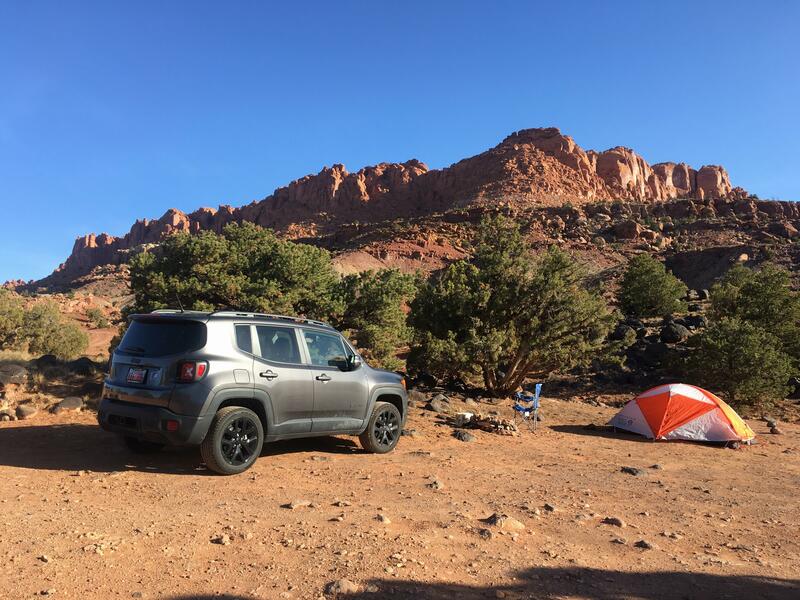 For example, we regularly go to this one area to camp on the outskirts of Moab, and from that spot we can go hike for endless miles or a quick drive away to epic MTB trails. We can do all these things, out in the wilderness, and still get to sleep in a tent that night. And more importantly, we get to have a roaring fire going whenever we want since we get to bring our own firewood. I can’t tell you how many times on a backpacking trip we’ve gone to bed freezing because we couldn’t start a fire. Or, even if we did, the fire was so tiny because we could only find little twigs to burn. Nowadays, we show up with bundles of wood to cook breakfast and dinners over a blazing, hot fire. A fact that is hard to beat or argue against. Sure, we’re no longer “roughing-it”. 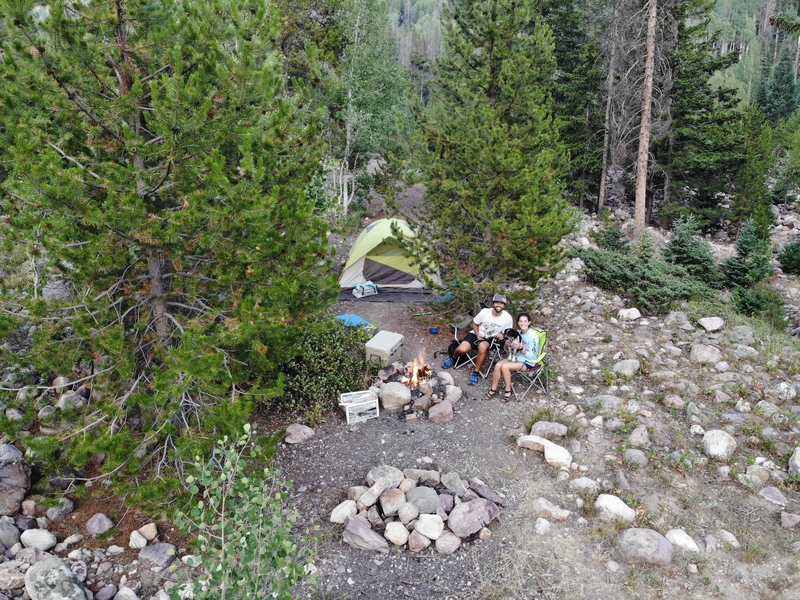 Maybe we’ve been spending more time in a 4-person tent, than our cozy 2-person backpacking one. And maybe our campsites aren’t deep into the wilderness where the nearest person can’t be found for 20 miles, but I am starting to not care about those types of things. It might be because my weekday evenings are now spent running, hiking, and biking in the mountains of Park City, so I’m not longer forced to fit as much adventure in on the weekends as possible. 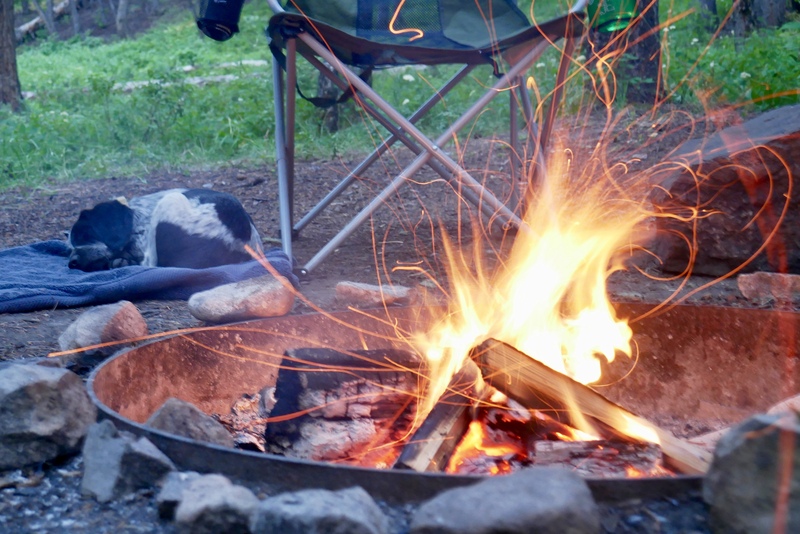 Or it could be that I am just getting older and am enjoying the comforts of a big fire, a cooler full of food, and a cold beer when I’m back at camp. Quite literally, all I care about is getting to spend a night outside with my girlfriend and my dog. And once I was okay with that, I couldn’t have been happier. 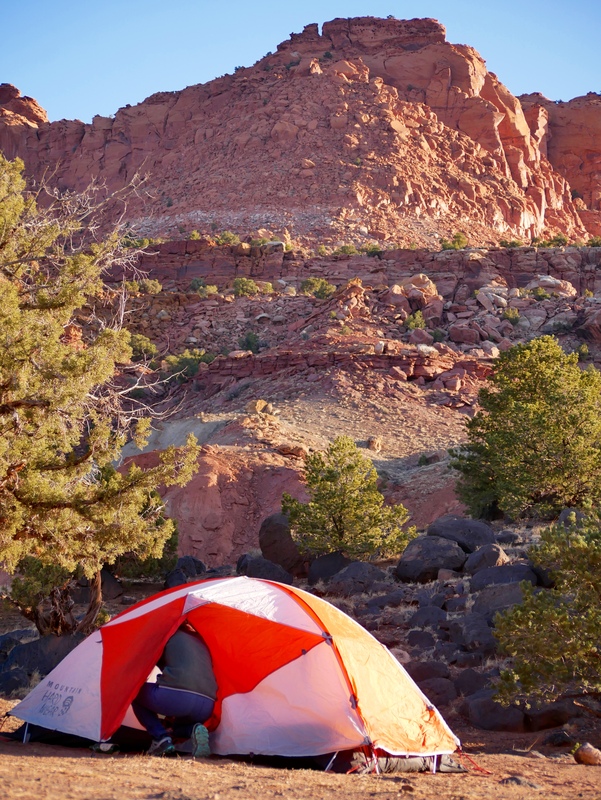 Because now, finding a place to simply “camp”, has become way easier that the rare occasions to find the perfect backpacking spot that fit the mileage and weather window we needed. *editors note: I full intend to edit this article years from now when I go full glamping-mode and buy a trailer/RV so that I don’t look like a complete hypocrite. But until then, I intend to shame them at every chance! Car camping has lots of advantage. You can bring lot’s stuff for campaign more fun and entrainment. BTW nice photo, I like those view.